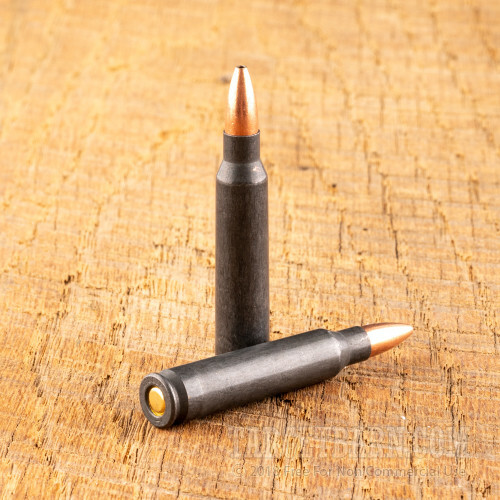 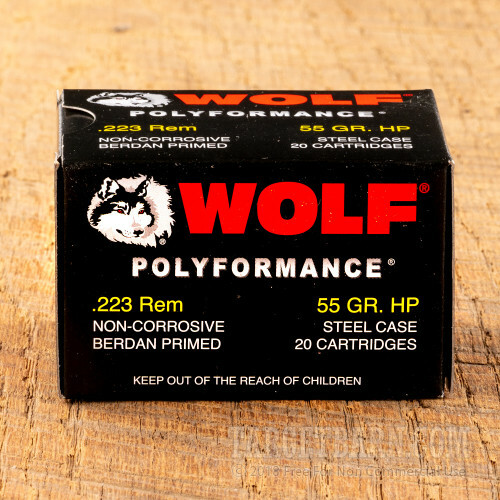 Whether you're slaying paper or varmints, this .223 Remington ammunition from Wolf will get the job done at a reasonable price. 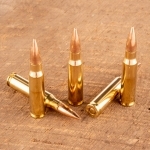 Enjoy shooting it in your AR-15 or other .223/5.56 NATO rifle. Each cartridge in this 20-round box fires a 55 grain hollow point bullet at 3,000 feet per second. 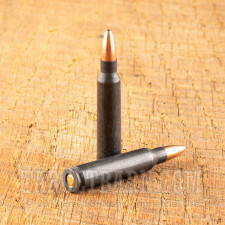 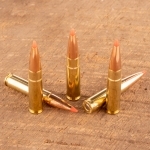 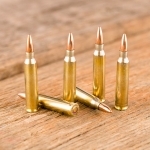 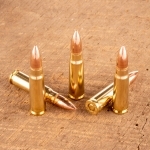 The hollow point is an economical design that nevertheless offers devastating fragmentation against small pest animals. 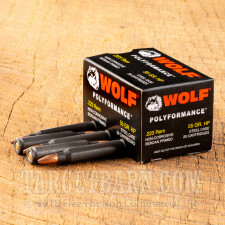 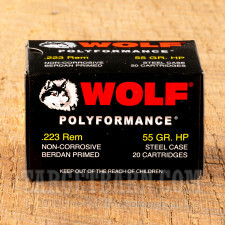 Wolf ammo is loaded in Russia using non-corrosive Berdan primers and polymer-coated steel cases.